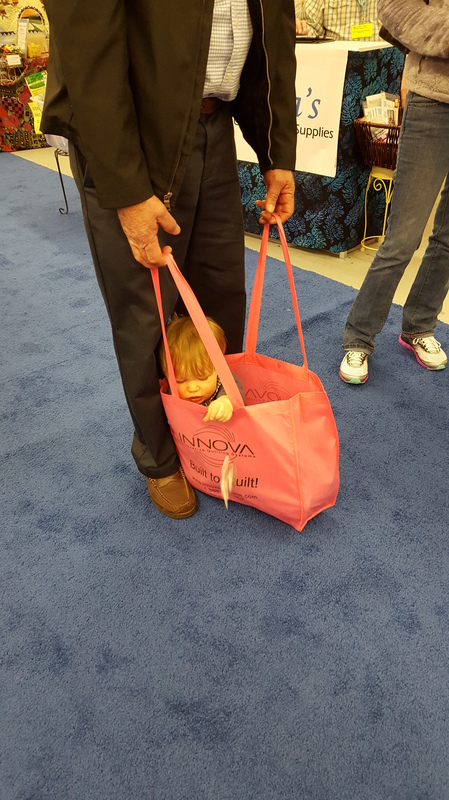 Quilt Show Inspiration! 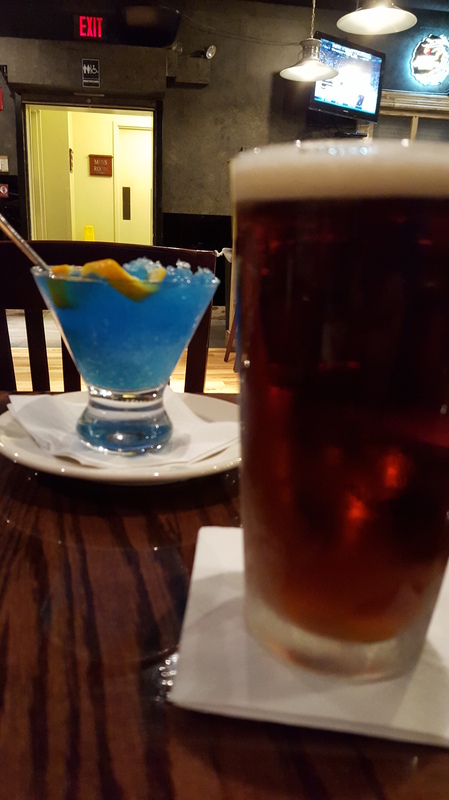 I attended MQX East this past week/end. 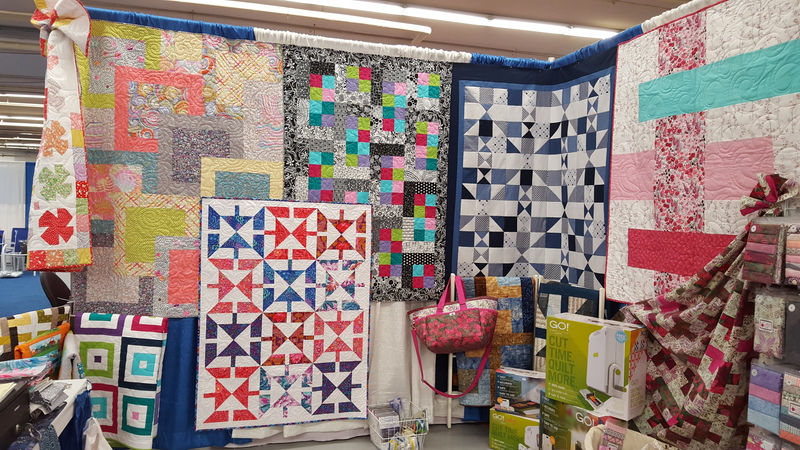 I spent some time in Sturbridge Quilting and Sewing’s booth, Willow Leaf Designs and viewing some amazing quilts! 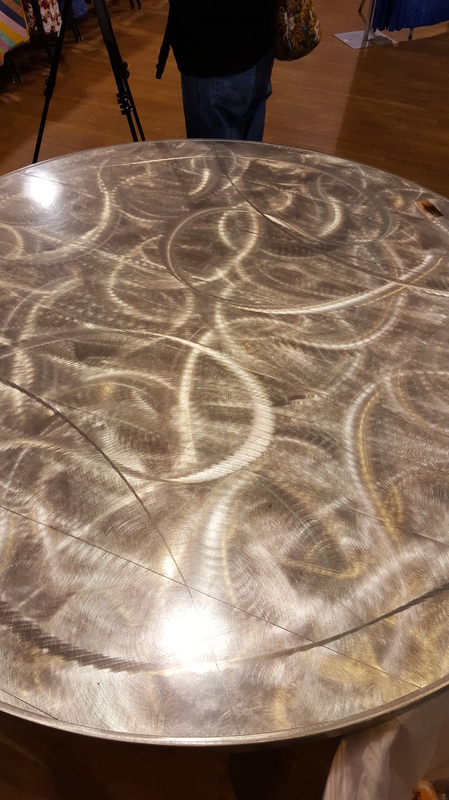 My friend’s quilt “Kaffe Clam Shells” won Best Scrap Quilt!!! 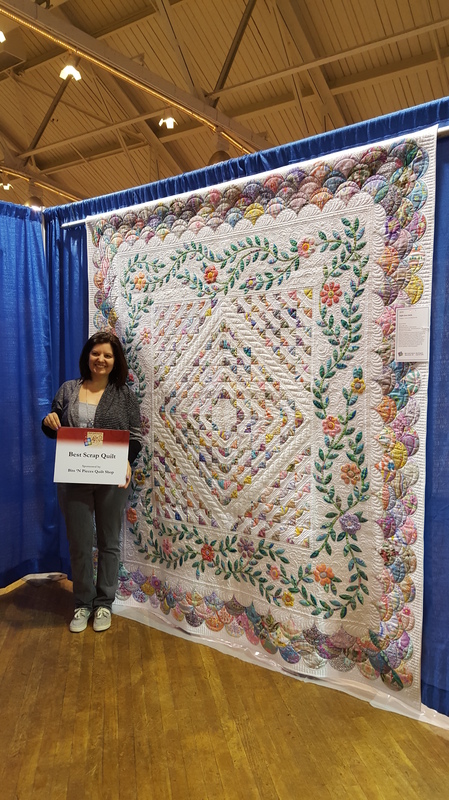 So happy for Sue Pelland and Kathy Sperino, her very talented quilter! I might have yelled just a little when their names were called at the awards ceremony! 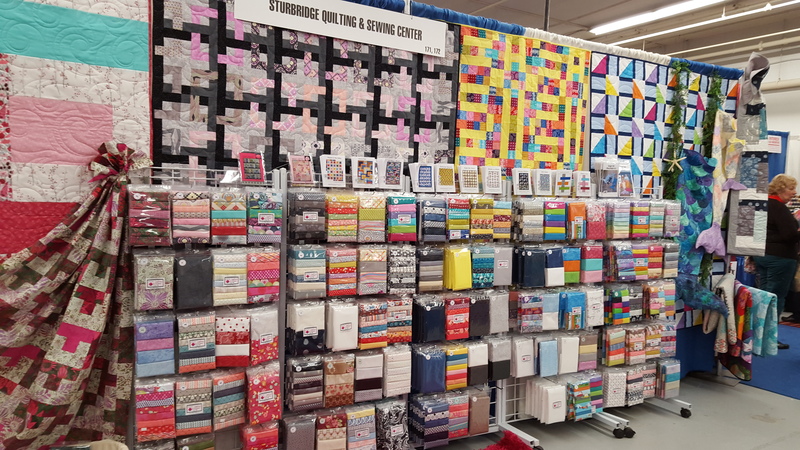 Gina at Sturbridge Quilting and Sewing had a “Debbie corner” in her booth. These are my newest patterns! Look for them on my website very soon. The Snuggle Tails ended up on Gina’s” Sail Away” quilt. 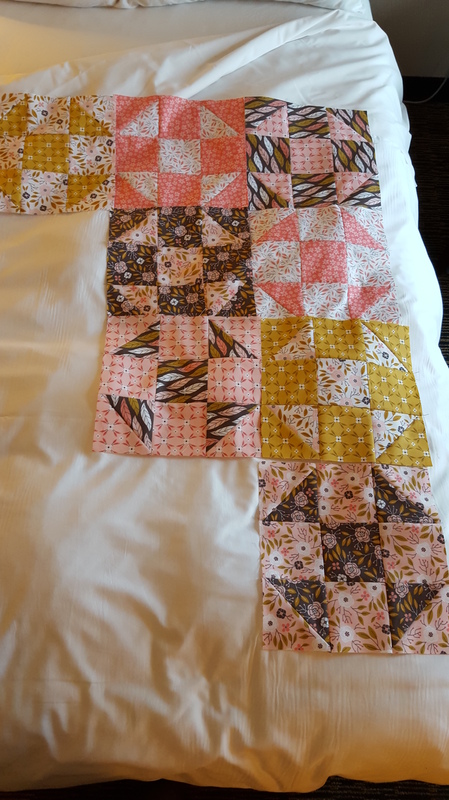 As I’ve mentioned before, I travel with my machine and piecing. When in a hotel room I am aware of the noise my machine makes. To help soften the sound I use a piece of an old floor pad. 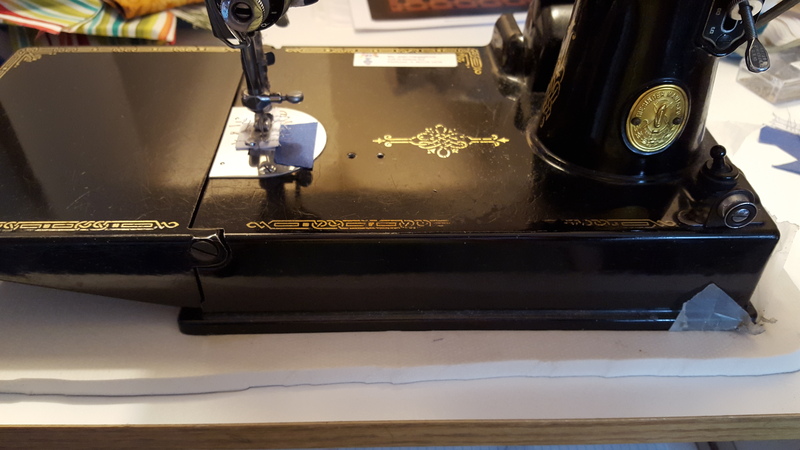 #1 – Use a floor cushion pad to muffle machine noise. Always check the bottom of hotel irons before you press anything! I get a hand towel to test the iron heat and steam. #2 – Check iron temperature and steam setting before you put it to your fabric! No design wall in a hotel room so the lumpy comforter will have to do!